Real Madrid are reportedly ready to compete with Barcelona and Paris Saint-Germain to sign Liverpool playmaker Philippe Coutinho. Los Blancos are said to have approached Liverpool about signing the Premier League club's No. 10, but they'll have to battle with Barca and Les Parisiens for his signature in the January transfer window or next summer, per Mundo Deportivo (h/t Adam Shergold of MailOnline). Interest from Los Merengues will likely push Barcelona to try to seal a deal for Coutinho during the winter window. However, PSG's interest will also remain high with "Angel Di Maria and Julian Draxler expected to leave next summer," per Shergold. While PSG might have a need for Coutinho, his potential fit at Real is a lot less clear. After all, Los Blancos already have Isco and Marco Asensio in attacking-midfield areas. Germany international Toni Kroos is also effective when playing at the tip of a midfield three.Considering Coutinho will cost in excess of £100 million should Liverpool decide to sell, the 25-year-old South American schemer represents a hefty investment at a position of strength for Real. Of course, Los Blancos' struggles at the start of this season could prompt the club to make yet another Galactico-scale signing. Real are eight points adrift of Barcelona in La Liga and have stumbled recently in the UEFA Champions league, losing 3-1 to Tottenham Hotspurat Wembley Stadium on Wednesday. Last season's La Liga champions would likely revel in getting one over on archrivals Barca, who consistently pursued Coutinho this summer. In fact, the Blaugrana bid as much as bid £118 million to try to tempt the Anfield club into a sale, according to Paul Joyce of The Times. 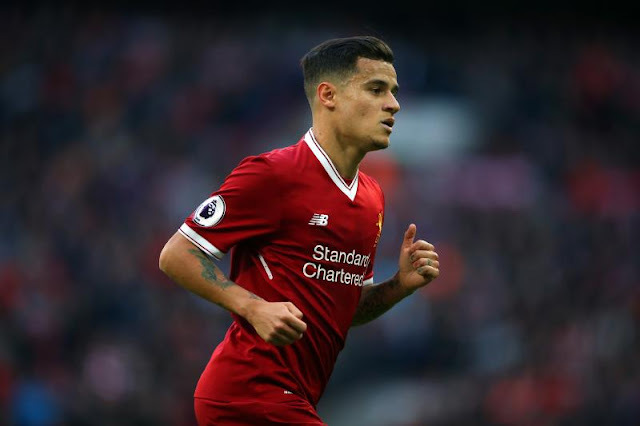 Coutinho made his openness to a move away from Merseyside clear when he submitted a transfer request on the eve of the new Premier League season. He has since returned to the first-team fold for manager Jurgen Klopp and has wasted no time reminding everyone of his importance as the creative fulcrum for Liverpool. Coutinho will be joining Barca...Real Madrid are wasting their time.